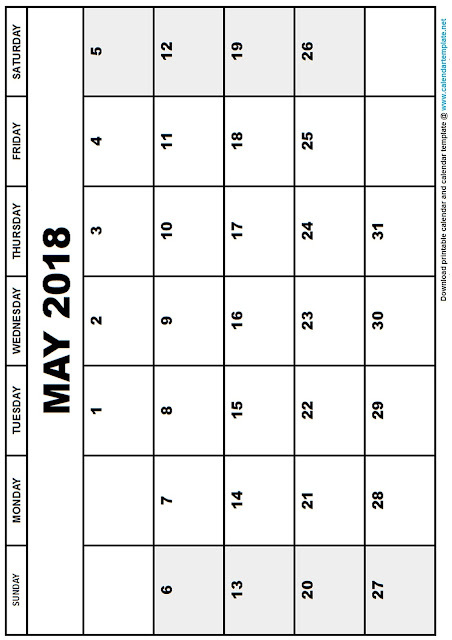 Now get complete May 2018 month Printable Calendar template at free of cost. Just Download and use it. You can make a note in it. 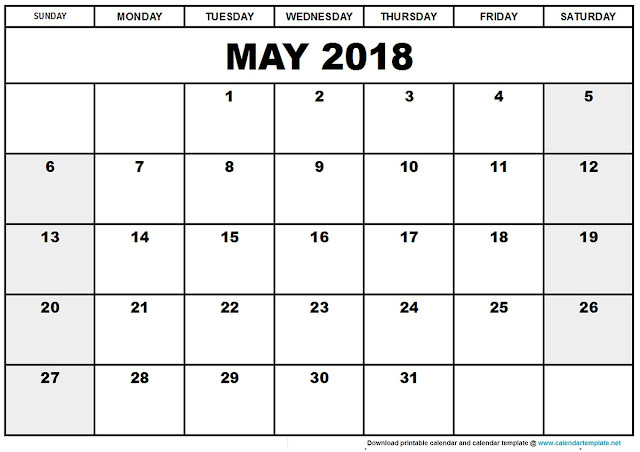 This calendar is blank calendar so you can use it for multipurpose. This calendar is available in two formats landscape as well as portrait.